White Island, New Zealand. Picture courtesy of Shutterstock.com / dirkr. 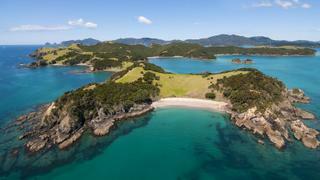 Matauri Bay, Bay of Islands. Picture courtesy of Shutterstock.com / Tomas Pavelka. 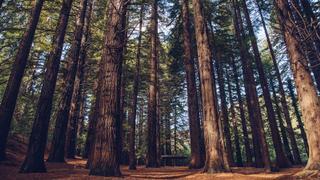 The Redwood forest in Te Mata Peak of Hawke's Bay region. Picture courtesy of Shutterstock.com / Boyloso. 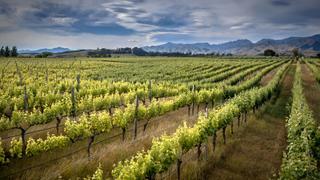 Vineyard in the Marlborough area, South Island. Picture courtesy of Shutterstock.com / Rudmer Zwerver. Queenstown in South Island. Pictures courtesy of Shutterstock.com / Filipe Frazao. Fiord Milford Sound, South Island. Picture courtesy of Shutterstock.com / Dmitry Pichugin. In the second of a series of Adventure Guru guides, Robertson explains how to visit New Zealand’s North and South Islands from the water in the height of luxury and without a dull moment. I first explored New Zealand more than 20 years ago, inspired by the legendary Kiwi explorer Sir Edmund Hillary. Both islands are home to a rich and vibrant history, originating with the first Polynesians arriving here approximately 1,000 years ago. Today the indigenous Māori community shares the islands with 4.6 million Europeans, all of whom have lived under the Dominion of the British Empire since 1907. The Māori people may be the minority, but their music, art, language, and literature are an intrinsic part of New Zealand culture. In recent years a number of superyacht beasts have made their way to these stunning islands – 134 metre Serene, 119 metre Motor Yacht A and 140 metre Ocean Victory have all moored up for wild adventures in New Zealand. There are three key superyacht marinas in Auckland; Westhaven Marina, which hosts yachts up to 30 metres, Viaduct Marina, which can take vessels up to 60 metres, and the Silo Marina, which has berths for superyachts up to 115 metres. 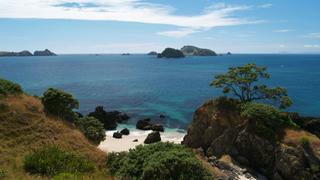 Begin your North Island adventure at Kauri Cliffs, which overlooks the Matauri Bay. One of the best golf courses in the world, it is coupled with a nature-lover’s dream spa situated at the edge for a Totara forest, complete with meandering stream and expansive menu of treatments on offer. Additionally, you can tuck into gourmet suppers at the lodge, which boasts outdoor decks that overlook the Pacific, making the Bay of Islands the perfect place to kick off your maritime vacation. From Kauri Cliffs head to Auckland, aka the City of Sails, which is a must-visit destination for superyachts. The country’s most populated city is vibrant thanks to the turquoise waters and colourful nightlife. Zip over to Waiheke Island by helicopter (approximately 21 kilometres), to discover its extraordinary Māori history and vineyards. 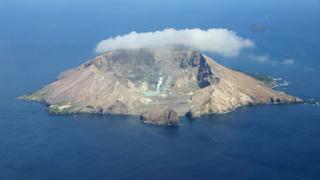 As you start to make your way down the island’s east coast, stop off at the iconic White Island. Here smokes the world’s only marine volcano that is still active, all within sight of the cruising community in the Bay of Plenty. Take a private walking tour up to see ominous steam vents, hot volcanic streams and the extraordinary main crater. Continue the adventure by taking a private car over to Waitomo, where you can take an underground boat ride through the famous glowworm caves – lovers of high octane pursuits can go for the black water rafting option, which involves abseiling, climbing and weaving through a series of caves studded with glowworms. Cruise south down the eastern coast of the island, making stops in Gisbourne to sample the sumptuous Chardonnays and put your surfing skills to the test. If you’re still not ready for a break, stop in Napier to climb or cycle Te Mata Park, home to a peak named ‘Giant Among Us’, where you’ll find stunning views and extraordinary flora and fauna including a grove of 223 California Redwoods. The vibrant capital of New Zealand sits at the southern end of the North Island. Moor up at the Queen’s Wharf in Wellington and either explore the city, making sure to enjoy a local craft beer at Golding’s Free Dive, or trek up to the Mount Victoria Lookout for panoramic views out to the horizon. 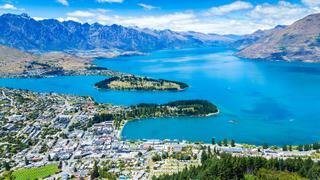 The South Island offers a smorgasbord of adventures for those visiting on a superyacht – hike through the lush rain forests, or a stroll through the stunning vineyards – take a private tour of the Marlborough wineries to while away an afternoon amid world-famous grapes in the north of the island. The island is famous for its Southern Alps, and here you can explore glaciers and the majestic peak of Aoraki Mt. Cook. For the greatest experience of the glacial, mountainous terrain of this island, drop anchor off Kaikoura and take a helicopter up to Tasman Glacier (operating July-September), which is a prime spot for intermediate skiers. The active marine life surrounding the South Island is hard to miss – back on board, you can spend a leisurely afternoon watching the whales from your yacht and try to spot humpback whales, orcas, and blue whales, while fur seals and dolphins weave over and through the waves. Alternatively, if you're feeling particularly adventurous, New Zealand is the home to a plethora of activities that are ideal for those seeking an adrenaline rush. Take a private helicopter south to Queenstown for some of the island’s best bungee jumps, ziprides and swings with AJ Hackett Bungy. For a spot of relaxation, take a private car from Queenstown to the lakeside Matakauri Lodge for a sumptuous signature Aromasoul Body Scrub, which involves a welcome footbath, a volcanic dust body scrub and a full body massage. Relax in the heated swimming pool afterwards and marvel at the stunning views of Cecil Peak, the surrounding alpine forests and Lake Wakatipu. The South Island is also home to three major national parks, each offering something a little different for fans of the great outdoors. 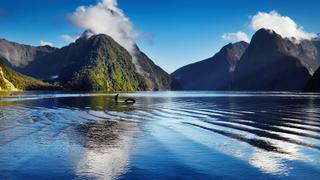 To discover the best of New Zealand, go to Milford Sound in the south west of the island, which is a jaw-dropping spot. While you can make the most of some incredible walking trails, it’s best seen from the water. Get up close and personal with its steel-coloured lakes and waterfalls by kayaking or you can even take a dive charter to discover the marine park’s famous black coral trees. If you’re staying north of the island, don’t miss out on a visit to the Abel Tasman National Park, which boasts the deepest vertical shaft in New Zealand at the end of the Harwoods Hole Track, as well as the Wainui Falls and its long swing bridge.